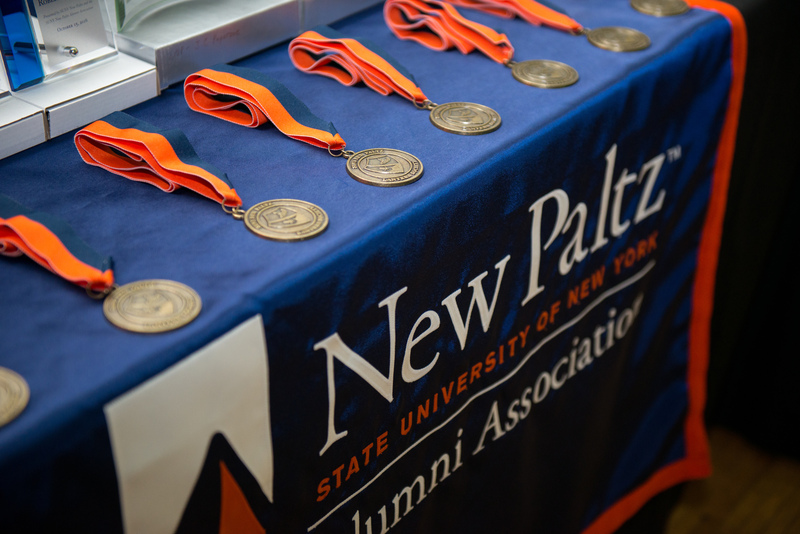 This year, the Alumni Reunion celebration welcomed back hundreds of SUNY New Paltz alumni and their families for a series of weekend events Oct. 12-14. The weekend began with a Welcome Reception on Friday evening where attendees were able to reminisce and reconnect with classmates. 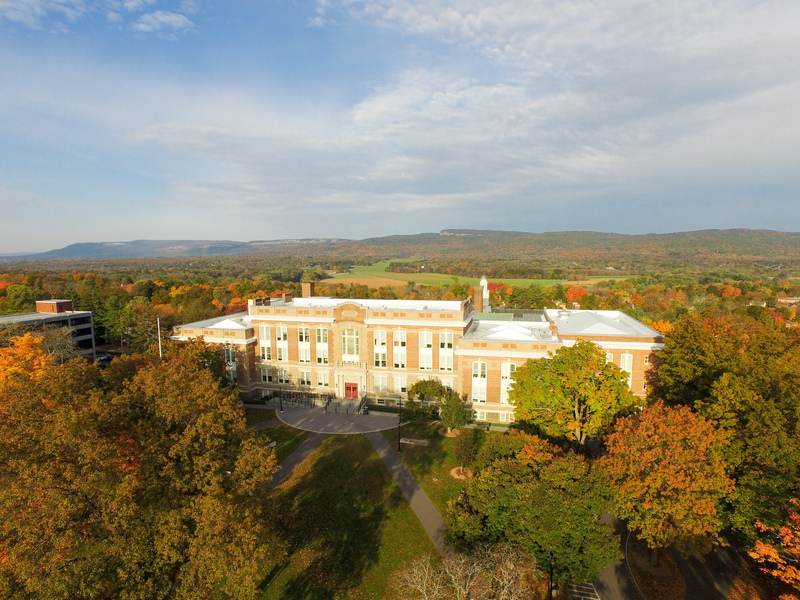 On Saturday, guests took advantage of the All-Class Fall Harvest Lunch, campus and residence hall tours, a 3D printing workshop, and several department specific talks and receptions. 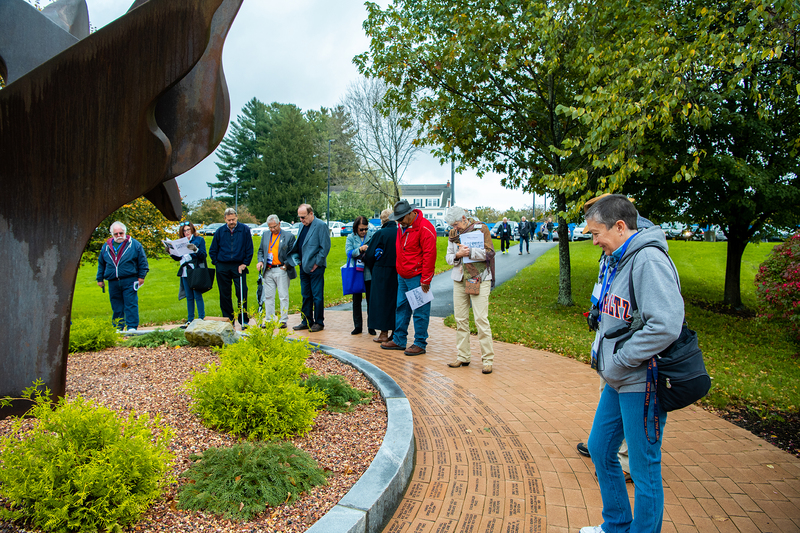 Saturday events concluded at the All-Class Heritage Dinner and Lantern Ceremony, where the College presented its Heritage and Alumni Awards and recognized 70 graduates of the class of 1968 as they were inducted into the Lantern Society for their 50th anniversary year. New this year was the “Alumni Reunion Class Year Challenge.” The Challenge invited guests to make a gift in honor of their class. The anniversary class year with the greatest number of alumni donors (not dollars) will have a brick added to the Walk of Honor to Commemorate its generosity. The class of 1968 came out on top, inching out the class of 1973 by only four donors. The celebration concluded on Sunday with breakfast and activities off-campus, including a hike to Mohonk Preserve led by faculty members Glenn Geher of Psychology and Jeffrey Miller from Political Science, and a wine tour of Robibero and Whitecliff Wineries, the latter owned by alumnus Michael Migliore ’78 (Chemistry) and his wife Yancy Stanforth-Migliore.